Jaydeep Steels is known to be one of the trusted manufacturer, supplier, and exporter of the finest range of Inconel Flanges that are exported to various parts of India as well as abroad. Keeping in mind our varied customer base, we manufacture all our products in different shapes, sizes, and specifications as per the necessities of our customers. We manufacture the Inconel Pipe Flanges using the best available grades like 600, 601, 625, 718 etc. 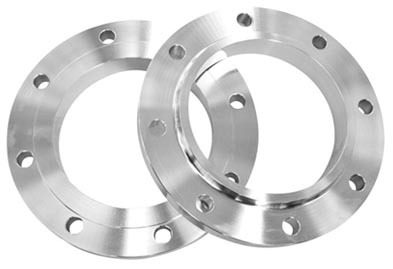 These flanges are then extensively used for numerous high-end industrial plumbing requirements at various industries. Furthermore, by using the best quality of raw materials, we ensure that our customers are served with top-notch products which have the various advantages like resistance to crevice and fitting corrosions, resistance to oxidation, non-magnetic features, proper functioning at elevated temperatures, high strength & toughness, heat resistance, chemical resistance, excellent fatigue strength and much more. Our vast inventory at Jaydeep Steels has various Available Forms of Inconel flanges like Inconel Slip on Flanges, Inconel Blind Flanges, Inconel Weld Neck Flanges, Inconel Socket Weld Flanges, Inconel Threaded Flanges, Inconel Lap Joint Flanges, and many more. These are manufactured with the help of our vast and advanced technology and machinery. All our products and manufacturing processes are in accordance with the international and national quality standards that provide our customers with the assurance that they are being served with the good quality products. 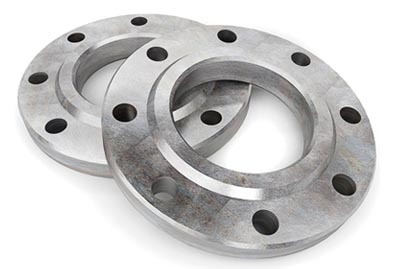 Our Inconel flanges are widely put to use in furnace hardware, gas turbine engine ducting, combustion liners, spray bars, chemical plants, seawater industries, and various other applications. Contact us today to request a free quote! Jaydeep Steels stocks a wide range of materials and grades. Below is a list of all standard inconel flanges materials and grades we stock. Our experienced team of metal experts will get you the metal you need when you need it. Call us today for your Inconel Flanges Needs!